I think everyone should know that it was a struggle for me whether or not I should be featuring airline inflight meals. But I confess, I enjoy eating while flying. 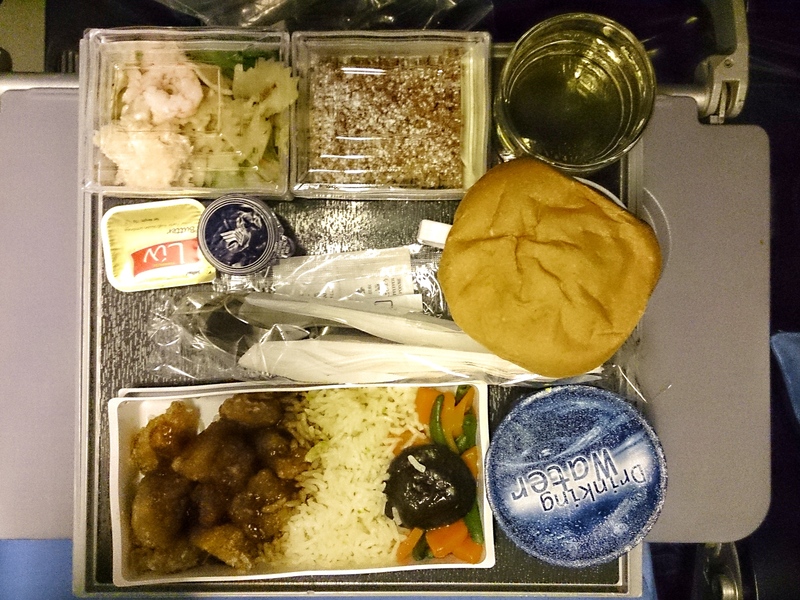 So this is the reason why Candid Cuisine is taking off its maiden inflight meal feature. While it’s common knowledge that airline inflight meals should add an extra pounds to your weight after a day or two (because it is extremely humid 30,000 feet in the air, the flavors in inflight meals need to be strong), I grew up eating meals on board while the plane hovers up and down and your belly does a flip flop. I grew up loving little plates of dessert, couscous, a dinner roll and a tray of not-so-delicious rice dish but it’s enough to last during a medium haul or long haul flight. I grew up drinking both coffee and tea simply because I love coffee and tea. I grew up with flight attendants in Kebaya uniforms assisting me on playing video games in the middle aisle (as Singapore Airlines didn’t have games functioning in the left and right aisle at that time) or French stewardesses greeting “Bonjour” onboard Air France. Yes, I was already an avid flyer long before the dawn of budget airlines and low cost travels, before everyone else! I think it’s pretty obvious I love flying and everything about airplanes. I have a completely, unrelentless passion that I should say, I no longer have enough room to hide. Next to food, airplanes are my long lost love. Below are some of my candid photos of airplanes I would like to share, just about everywhere. Yes, you should know that aside from food, I enjoy taking candid photos of airplanes. And in today’s era of budget airlines, where Cebu Pacific, Air Asia and JetStar Airlines reign, the tradition of dining onboard is lost. With Cebu Pacific Air, meals are on a separate cost apart from your airfare and while this is alright with short haul flights, you tend to eat in the airport before you fly. This is an era where people prefer budget traveling over major carriers but even major carriers have cut the cost on their inflight catering. Take for example Cathay Pacific Airways nowadays only serve bread or sandwiches during short haul flights. 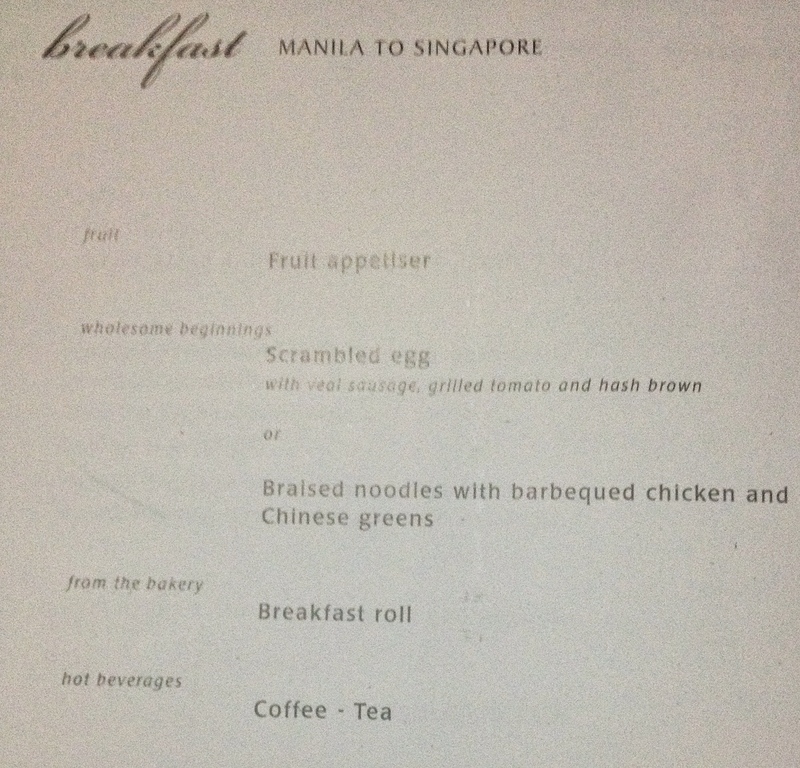 A decade or 15 years ago, Cathay Pacific served a full meal, complete with omelette, orange juice, coffee on the side, fresh garden salad and some delicious tiramisu cake. I guess you can say, the luxury of flying is all lost. Travel comfortably in style with Cole Haan Zerogrand Wingtip Oxfords. And if you ask my opinion, it’s the fault of budget airlines that’s why these major carriers have been losing billions of revenues. I guess, as a regular traveler, you don’t know that or don’t read the news very often. But I pity these major carriers a lot. They have to forge partnerships in order to survive, like Air New Zealand’s latest deal with Singapore Airlines. But no matter, my goal today is to let you know that there is still hope in these carriers, like Singapore Airlines. 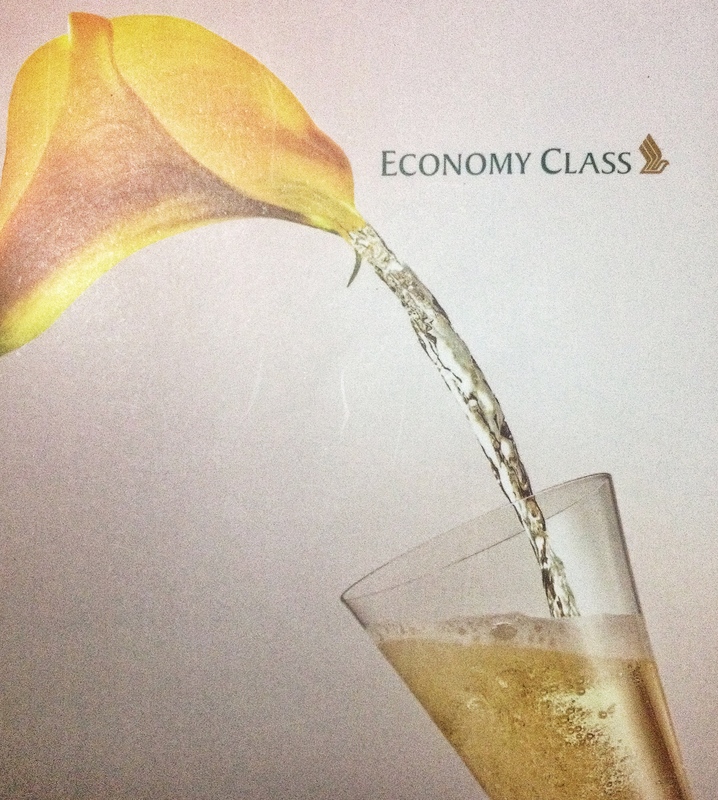 You won’t miss Singapore Airlines’ long long roster of award credentials in 2013’s World Airline Awards. Singapore Airlines was competing with more or less around 10 airlines in each category. That’s a very difficult track to accomplish. I couldn’t agree more with their award for Economy Class Catering. 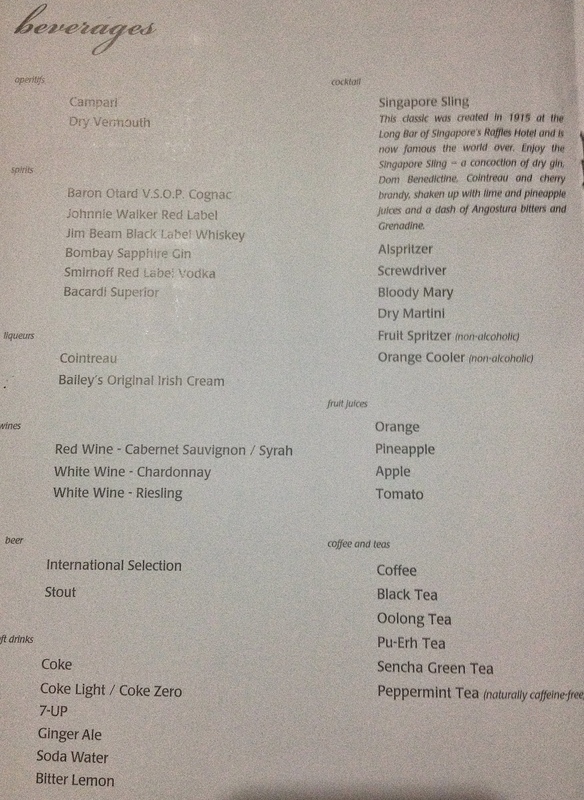 On my way to Singapore, their flight attendants treat you well, serving you with apple juice, orange juice, red wine, white wine or even cocktails of your choice like the Singapore Sling before you eat. I could no longer feel I was in Economy Class only. To give you an idea, Singapore Airlines spends around $500,000,000.00 every year just on food service alone. Yes, that’s a lot of zeroes. Preparing the inflight meals are an extremely gruesome process, considering the airline prepares food for approximately 447 passengers in a single flight with some frequent flyers who do not want to get tired of eating the same meals over and over again. Plus, for First Class and Business Class passengers, you can enjoy Singapore Airlines’ Book the Cook service, where you can choose signature dishes like Lamb Chops, Rib-Eye Steaks, Fillet A La Nicoise, Chilean Seabass and even Lobster Thermidore, created by well-known chefs such as NYC Chef Alfred Portale of Gotham Bar & Grill, and 3 star Michelin French Chef Georges Blanc. Do the Mario Go Kart in real life! 37% OFF Go-Kart in Tokyo only at Voyagin. With this offer, you can go-kart around Shibuya, Asakusa, Ueno, Akihabara and many more iconic places in Tokyo! Singapore Airlines’ iconic Singapore Girls would offer you the menu, with a choice of either scrambled egg or braised noodles with barbeque chicken, for breakfast. I opted for scrambled egg since my brain functions better on a continental breakfast. True story. Get 5% OFF Universal Studios Singapore (USS) Instant E-Tickets and skip all the crazy lines! A nice plate of hashbrown, veal sausage, scrambled egg and grilled tomatoes – perfect for me. Some fruits and a bread roll with butter is my ideal breakfast of choice. And you can choose between coffee or tea, and orange juice. 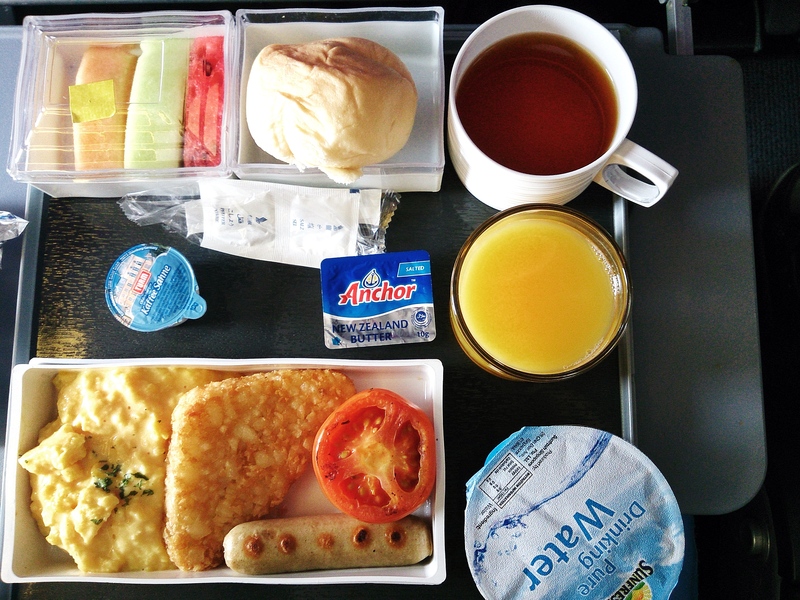 Don’t you just miss this simple inflight meal? My seat-mate who was a Swiss national got a vegetarian meal. I was so jealous upon seeing his plate of tofu and cheese. I made a mental note of opting for a vegetarian dish next time I book a flight because it looked delicious. However, they serve a wide variety of meals like Kosher, Kosher vegetarian, diabetic meals, and many different variations that cater to your religion or dietary requirements. That makes a big difference. 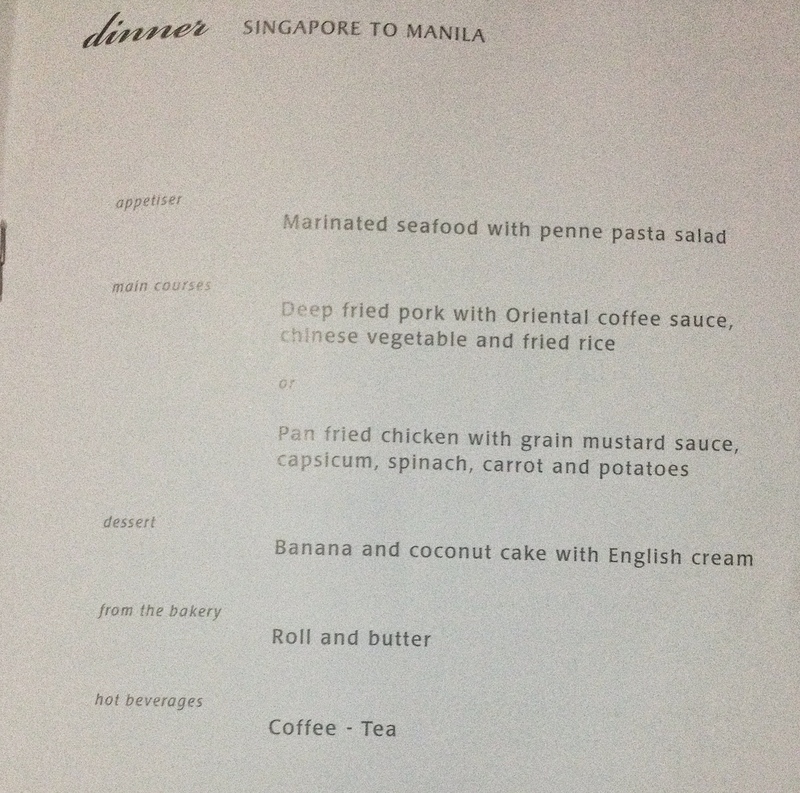 A full of list of their Special meals can be viewed at the Singapore Airlines website. On my way back home from Singapore, I was asked to choose between deep fried pork or pan fried chicken in grain mustard sauce. I was extremely hungry so I got their deep fried pork in oriental coffee sauce. It’s not much, but it was good enough for me. Served along with their coffee flavored chicken is marinated seafood with penne pasta salad, banana and coconut cake with english cream and of course dinner roll. The Verdict: So luxury flying or budget traveling? If you ask me, I’d rather spend additional bucks because I’m paying for the experience and comfort in flying as opposed to a budget airline with limited legroom and no meals included.